Guise of Fawkes krewse is still accepting members! Guise of Fawkes is a Revolution themed krewe that parades with krewedelusion and at other times of the year. 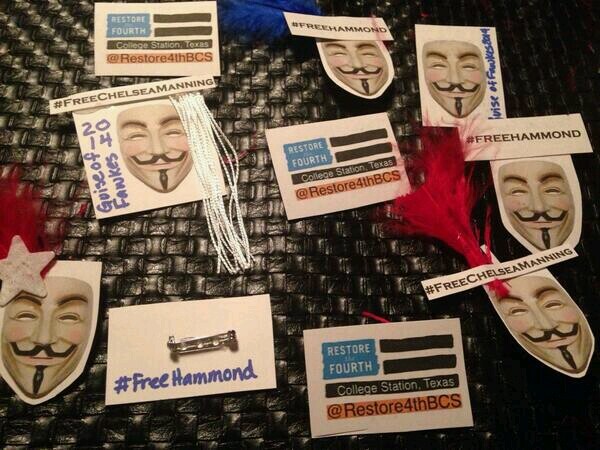 Guise of Fawkes honors arrested anons, whistle-blowers, and political prisoners. Our themes involve the surveillance state, corporate corruption, and government/corporate spying. The krewedelusion parade takes place on February 15, 2014, following Krewe du Vieux, and it parades from the Marigny into the French Quarter and back to the Marigny. 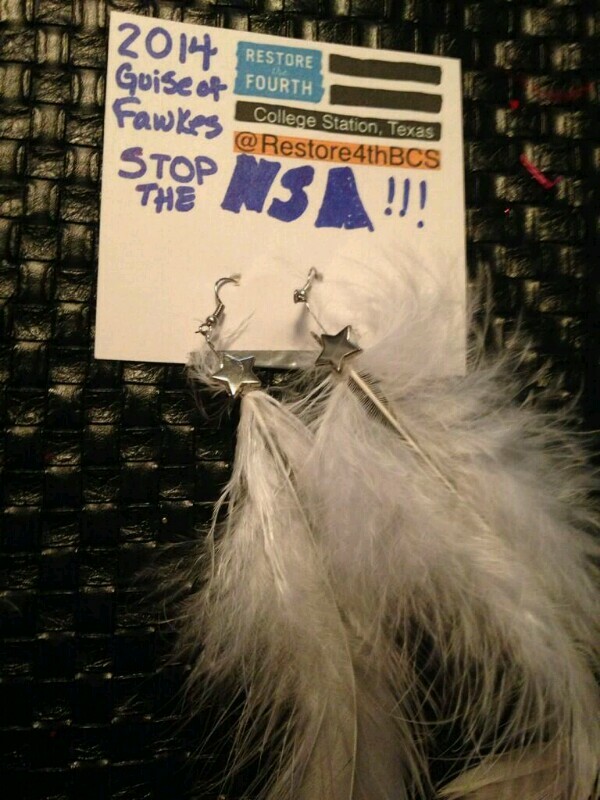 This year’s Guise of Fawkes theme for krewedelusion will focus on the surveillance state, whistle-blowers, and #FreeAnons. The float itself will have a Prison Industrial Complex theme. The front will look like a prison with Lady Liberty in jail holding a red pill and a blue pill (this is a reference to “The Matrix” and the hand-made throws we give out will be related to information from the efforts of whistle-blowers. Guise of Fawkes chooses red pill). 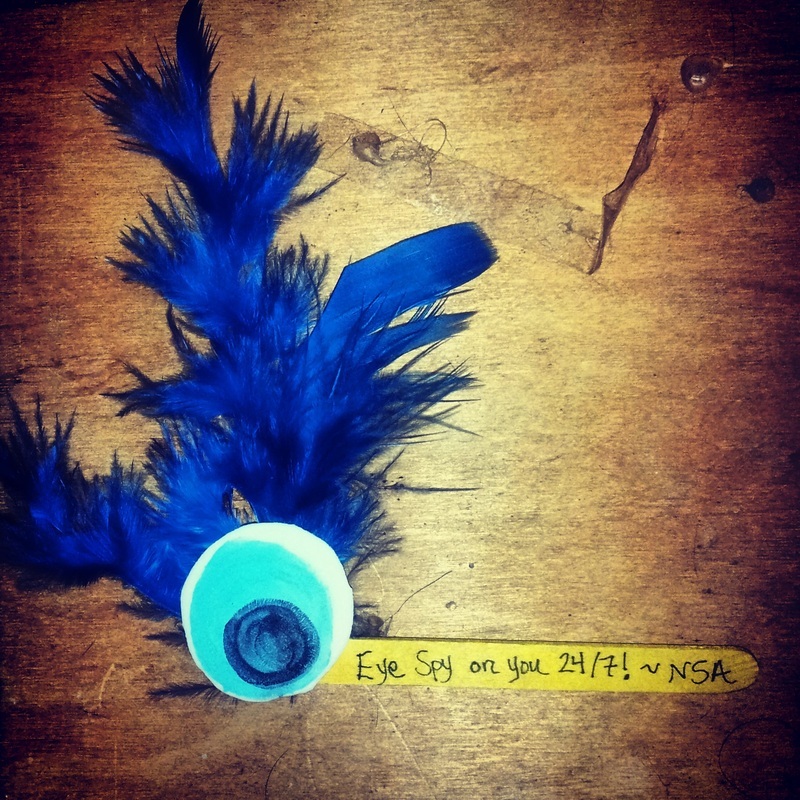 One side of our float will be devoted to unconstitutional NSA spying and will have a “Restore The Fourth” Stop The NSA theme. The other side of the float will be devoted to TrapWire information revealed in the Stratfor leaks released by WikiLeaks after Jeremy Hammond hacked the Stratfor database. 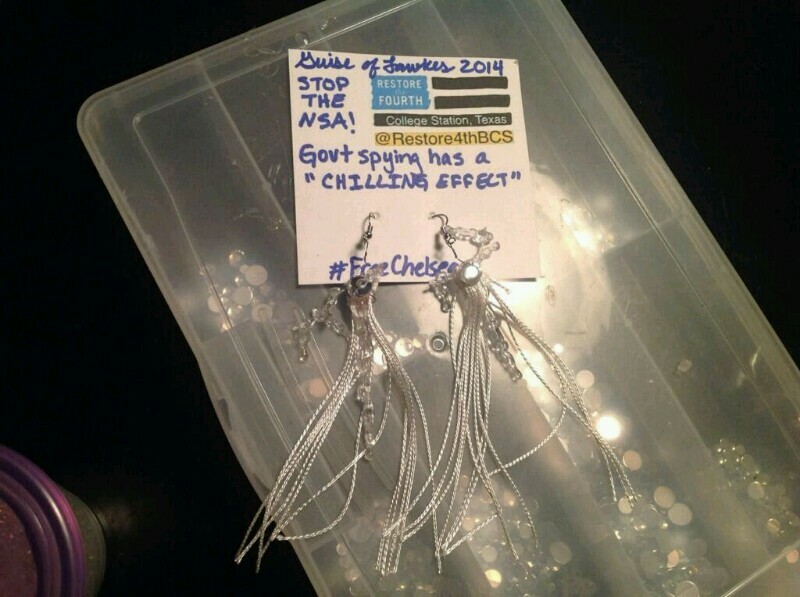 There will be fake surveillance cameras and art to represent spying. These Stratfor files include evidence of government and corporations spying on activists including The Yes Men, Occupy, and animal rights groups. 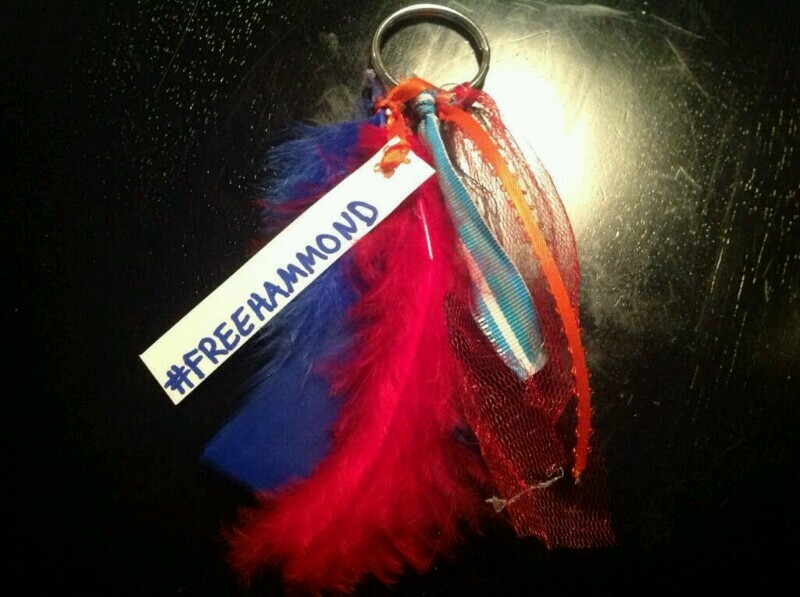 Jeremy Hammond was sentenced to 10 years in prison for his participation in the Stratfor hack, which was actually orchestrated by the FBI and a confidential informant. Our krewe is devoted to prison reform, and we welcome members from prison reform groups to parade with us. 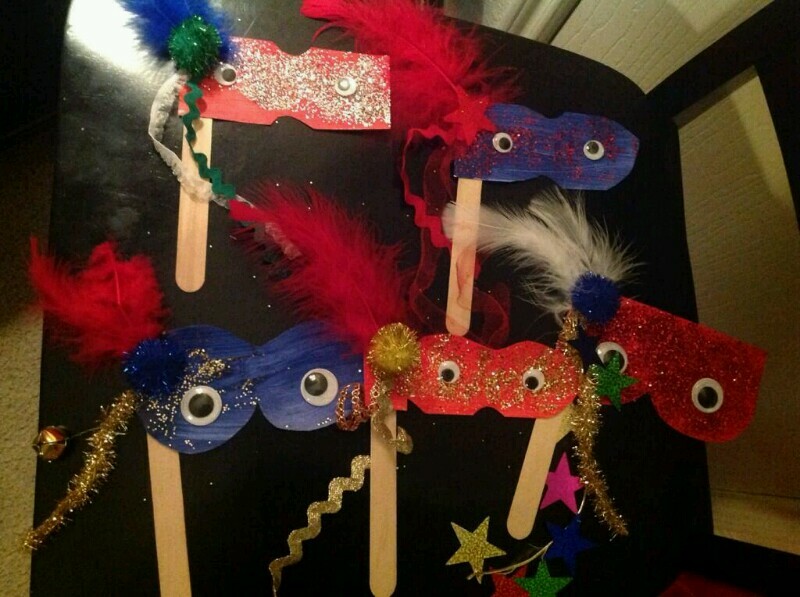 If you have ideas about costumes, throws, decorative items, flags, banners, etc, we welcome them. Some of our handmade throws include voodoo dolls wearing Guy Fawkes masks that will protect people from spying, string dolls that will protect loved ones in prison, and anything else that’s related to the Prison Industrial Complex and surveillance state. Little pieces of paper can be attached to these dolls with info about spying or prison reform and a link to a website with more info. Other throws include necklaces with any type of revolution themed decoration, key chains, stickers, pocket Constitutions, info about political prisoners with a small trinket, sidewalk chalk with information about chalkupy, and anything you can think of that relates to spying, Restore the 4th, prison reform, FreeAnons, Trapwire, or political prisoners. Stickers and papers with information about a social justice issue are acceptable and can be handed to people with small trinkets. If you have a cause you really care about like Monsanto, feel free to make Monsanto-themed throws or give out Stop Monsanto stickers, etc and information about the New Orleans March Against Monsanto or a march in your local area. Since information about Monsanto was revealed in the Stratfor leaks, this is appropriate for our theme. The same goes for other causes that relate to corporate corruption. Our costume requirement is rather laid back. 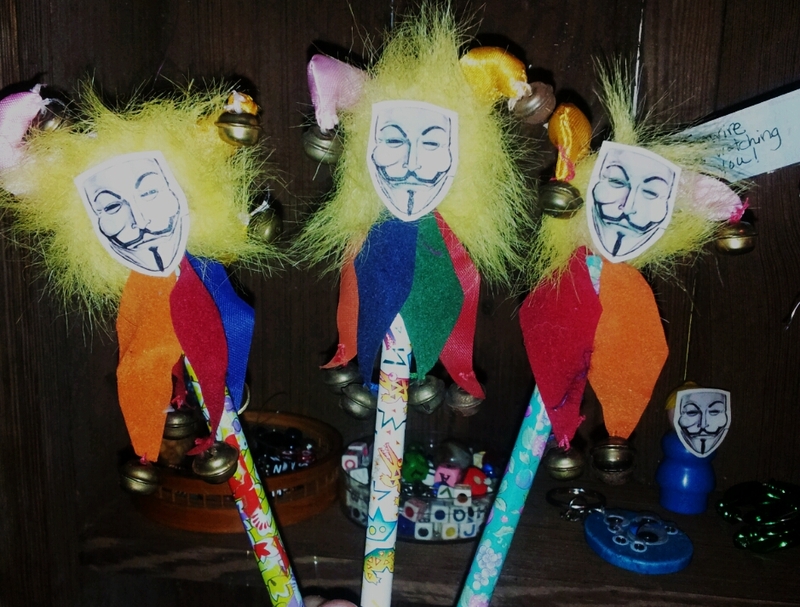 Guise of Fawkes wears Guy Fawkes masks, and these can be purchased or handmade. The other option is to wear a Spy V. Spy mask, but we’d like to have a somewhat even number of anons and spies if people choose to wear spy masks too. Again these masks do not need to be bought from corporations; we encourage making Guy Fawkes masks or making Spy V. Spy masks.. If you choose to make a mask, it should look like either a Guy Fawkes mask or a Spy V. Spy mask. Guy Fawkes masks that are decorated to focus on a specific political prisoner or social justice issue are another possibility. As far as what to wear, any type of fun outfit, suit, tutu, body suit, costume, etc is fine. We urge you to be comfortable and make sure the costume isn’t too cumbersome to prevent movement. Guise of Fawkes has some costumes available for people coming from out of town (a black cape, many Tutus, a few wigs, corsets, boas, and random other costumes). As far as what you wear, try to be comfortable and fun because that’s the experience we hope you’ll have at the parade. The deadline to sign up for krewedelusion is February 13. Unfortunately, Guise of Fawkes is not able to pay dues for individuals who want to march. krewedelusion dues are now $80. Those fees go to krewedelusion’s costs of paying bands, paying for the permit and insurance, and making the title floats of krewedelusion. Guise of Fawkes is not asking for any dues, but depending on the number of members, we may need help with art supplies for making throws. We hope you will consider joining Guise of Fawkes this year. We’d love to have members who are truly committed to prison reform and fighting corporate corruption parade with us. Please list Guise of Fawkes as the innerkrewe and then contact our Captain at guiseoffawkes@gmail.com to let her know you joined. You have to fill out a brief form and agree to the krewedelusion waiver on their website and they you can pay via PayPal to krewedelusion. Note about PayPal: Guise of Fawkes does not use PayPal because of the PayPal14 (hackivists who were arrested for taking down PayPal in defense of WikiLeaks), and we understand if you would like to pay a different way; however, krewedelusion pretty much only accepts PayPal and cash. If you’re local, you can give money to the Captain of Guise of Fawkes. If you’re from out of town and don’t want to use PayPal, you can WePay the money to our Captain and she’ll give the cash to krewedelusion and send you a receipt. You can email krewedelusion@gmail.com with any questions. Please let us know if anyone you know would be interested in parading with us on February 15th!